Moon phase & tide clock is made from weather proof bonded recycled paper, in the U.K. This eco friendly clock tracks the tide cycle and is ideal for predicting tidal heights. 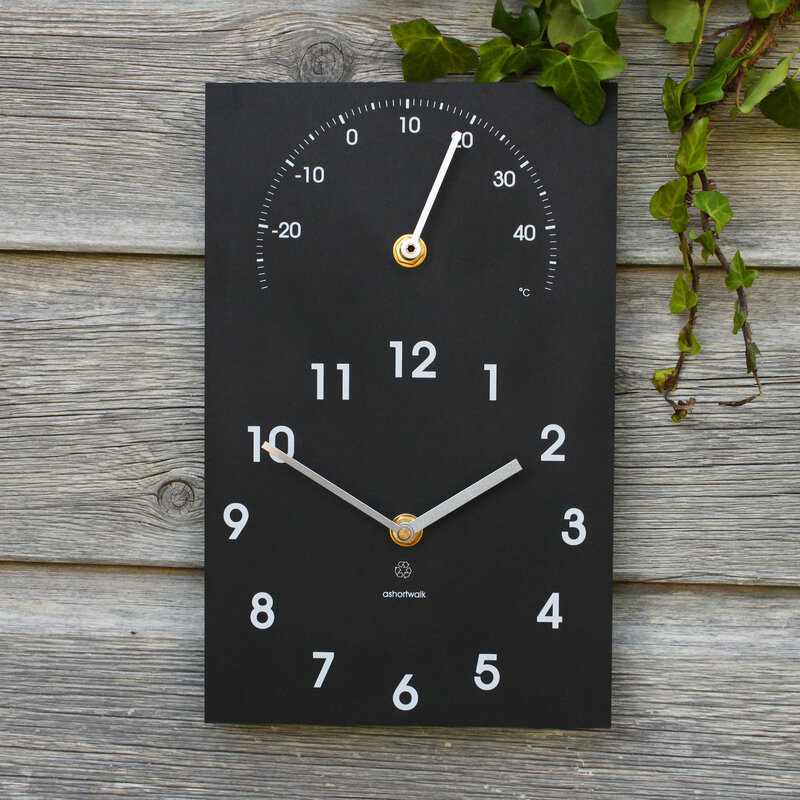 Made from water-resistant materials this wonderful clock can go inside or outside, an wonderful gift. 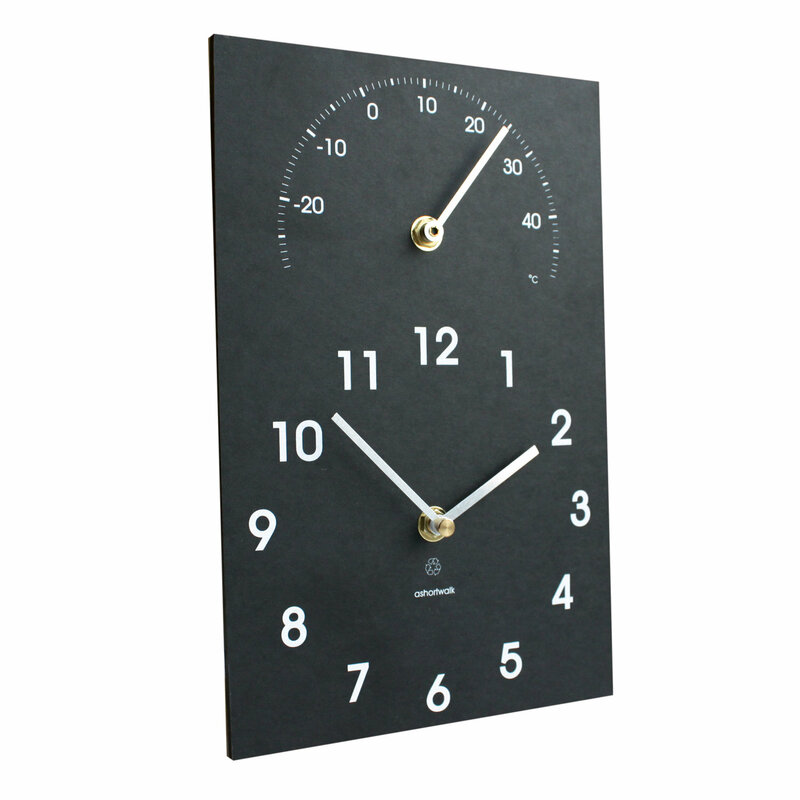 Eco Time & Temperature Clock, made from recycled weather proof bonded recycled paper, in the UK. An eco friendly clock that tracks the tide cycle & the moon cycle. The two faces on one board. The innovative and convenient clock tracks both the temperature and the time. Designed to be wall mounted. Batteries not included. Comes in a recycled box with gift wrap options available. Great for yourself, or a wonderful gift. Colour: Black with White Type. Material: Made from weather proof bonded recycled paper, in the U.K.
Provenance: Made in Cornwall in the UK, by an small company.